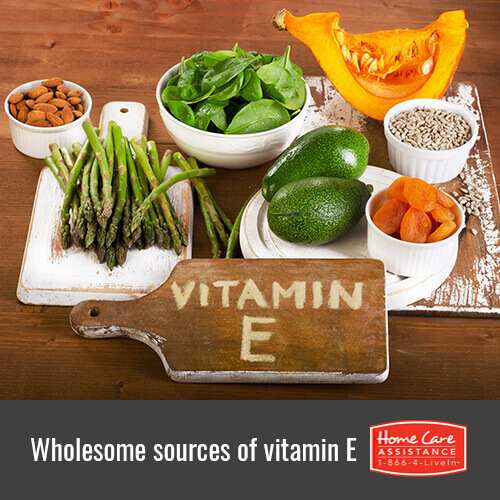 Vitamin E provides numerous benefits, particularly for seniors. It helps prevent chronic disease and delays the aging process by stopping the production of free radicals. It also supports the immune system to ward off illnesses and it may even prevent dementia and Alzheimer’s disease. Rhode Island caregivers can boost senior health and wellbeing by supplementing senior diets with a healthy dose of vitamin E every day. The following are six healthy and natural sources of this important nutrient. Spinach may not be the most popular vegetable, but it is loaded with nutritious vitamin E. It is also high in both calcium and folate. A single cup of spinach provides 20 percent of the body’s daily requirements of vitamin E and can easily be incorporated into senior meals. Avocados are delicious and loaded with vitamin E. Half of a single avocado contains over two milligrams of vitamin E. Avocado is easy to work into a senior’s diet either as part of a salad or as an ingredient in guacamole. You might even consider adding it to a smoothie with some yogurt and fruit. A cup of broccoli contains five percent of the body’s daily health requirements and it is high in vitamin E. Broccoli is also great for removing toxins from the body. To maintain the nutritional value, simply steam the broccoli until it’s bright green and add a touch of butter for flavor. Papaya is a very popular fruit because it is full of both vitamins C and E. Live-in Rhode Island caregivers can add one to a smoothie or combining it with other sources of vitamin E for a very healthy and tasty snack. A cup of olives contains approximately 20 percent of the body’s recommended amount of vitamin E. Olives also help prevent heart disease, promote low cholesterol levels, and lower the risk of atherosclerosis. Fish, particularly rainbow trout, is very healthy. Not only is rainbow trout loaded with vitamin E, but it is also full of protein which helps burn fat. Additionally, it reduces blood pressure and can ward off conditions such as thrombosis and gout. It’s important for seniors to consume the right amount of nutrients in order to enjoy healthy lives during their golden years. Home Care Assistance provides comprehensive home care Rhode Island seniors can trust to promote healthy, balanced lifestyles. We help seniors enjoy their golden years by encouraging healthy habits including nutritious diet and regular exercise. In addition to promoting senior health, we also help seniors manage daily activities such as grocery shopping, housekeeping, and laundry. Give your loved one the help he or she needs to enjoy the golden years in peace and comfort. Call (401) 284-0979 today to schedule a free consultation.